Listen to our experts share valuable information, tips and advice on these radio interviews. 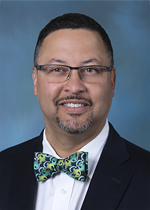 Ronald E. Delanois, M.D., discusses anterior hip surgery in this WBAL-AM "Know Your Health" radio clip. 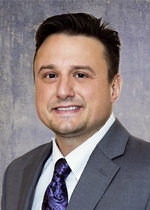 Click here to listen to Dr. Delanois on Ravens Gameday Injury Reports from 105.7 the Fan. Brian A. Janz, M.D., discusses hand surgery in this WBAL-AM "Know Your Health" radio clip. 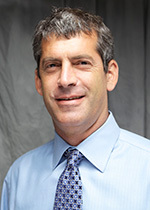 Jon D. Koman, M.D. gives the injury update for the Ravens Gameday Uncensored show on 105.7 the Fan. James Nace, D.O., M.P.T., F.A.O.A.O., discusses hip and knee osteoarthritis in this WBAL-AM "Know Your Health" radio clip. Robert M. Saltzman, M.D., discusses orthopedic surgery in this WBAL-AM "Know Your Health" radio clip. Click here to listen to Dr. Saltzman on Ravens Gameday Injury Reports from 105.7 the Fan. 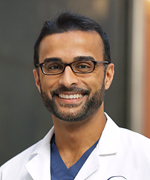 Noman A. Siddiqui, D.P.M., M.H.A., discusses common foot injuries in this WBAL-AM "Know Your Health" radio clip. Click here to listen to Dr. Siddiqui on Ravens Gameday Injury Reports from 105.7 the Fan. Learn about the services provided at the Rubin Institute for Advanced Orthopedics.